ALLEGRA BOVERMAN/Staff photo. Gloucester Daily Times. Gloucester: During rehearsal of "Holiday Delights," a holiday celebration of stories, songs and dance by the Gloucester Stage Youth Acting Workshops. 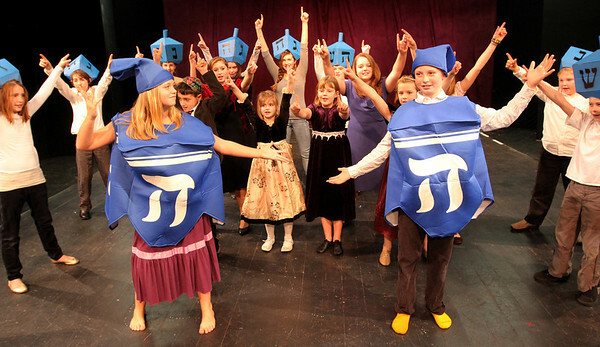 This is a scene from the "Contemporary Hanukkah" scene.